Some things people look for when buying a house include the features, the house location (on the lot and in the neighborhood), natural and artificial light, decoration potentials, and the parking possibilities. Though these are routine checks everyone goes into the market looking for, there are some details about a house that should also be looked into. Taking note of the following aspects can save you a headache and even money. The first thing you see when pulling up to your home is the outside. Though it may look beautiful from afar, there can be some overlooked details that show the house is not as great as it seems. One thing to keep in mind is the weather patterns in the area. If there are large trees, powerlines, and other structures close to the house, they can pose a threat. When an area is prone to heavy storms like hurricanes and tornadoes, then these structures can cause a home disaster. Trees blowing down are a common cause for issues wherever people live. They can be knocked over and destroy your property; whether it be the roof, the windows, or your car, these things weigh tons and have no mercy. Parts of the actual home’s structure need to be looked at as well. If the roof looks like it is old or needs repair, it’s probably true. Even good-looking roofs could require some adjustments. Holes and cracks may come with an older house and that is already a red flag. Roof repairs can cost a lot of money and no one wants to deal with that if they can avoid it. With untreated roofs, weather can affect the inside of your home causing floods and many other unwanted problems. The foundations of buildings are the first thing to be laid out and they serve as part of the backbone. A sturdy foundation can make a home last for decades; even centuries. Noting any visible sites of the foundation on the outside is great. Small cracks are not much a big deal especially if the home is not freshly built. Foundations tend to have hairline cracks when they settle in. This is not an issue. The real problem comes when there are gaps or missing pieces. If the foundation is faulty, the home has nothing to rest on and whose sections can collapse. Something that can be related to a bad foundation is the alignment of the outside features. Bad sittings can cause bending, warping, eventually breaking. Though foundations can be linked to this, it is not the only cause. Poor building quality can come from lazy workers and corner-cutting in the process of the build. Some characteristics to look out for are straight lines. Windows, doors, and roofs need to be set straight. If they are the home will look much better and the cost for future repairs will be avoided. When they seem to look sluggish, the property can lack value. Make sure the faces of the home are nice and straight – windows being parallel to one another, doors keeping good posture, and porches and balconies standing at attention. If any of these parts look like they are drooping or askew, that is a big red flag. The inside of the house is just as important as the outside. Everyone wants to come into a home that they can be proud of. Everything needs to be in tip-top shape for a great home. Noticing bits and pieces that may cause money funneling is important. The first thing you will see when stepping into a home is the layout of the floors and walls. One thing to keep in mind: they should be straight! Poor flooring and wall structure can not only make a home look off base, but it can call for renovation in the future. Check if the all the lines in the tiles are straight. Make sure the walls do not have any odd turns that make no sense or serve no purpose. Another detail to watch out for is the imperfections of even straight structures. Floors should look nice as well as walls, with that, take note of any cracks or holes in them to see if it will be a big issue after buying the house. Creaky wood, unstable tiling, and messy carpets require some repairs. A bulgy or weak wall calls for remodeling. This can be a major setback as small inexpensive projects can come together to make a huge bill. The airflow of the house is one thing that is necessary especially for different seasons. When it is hot, you need to be cooled down, and when it is cold it is nice to warm up a bit. Starting with the A/C unit, make sure it works. Usually, when visiting the home, the seller or realtor will run the air conditioning. If they aren’t, it may be because it doesn’t work well, if it even powers on. Chances are if the air in the home is nice and cool, it has no problems. But just to be sure, take a look at the unit to make sure it doesn’t look too old or broken. These units can cost a lot of money and since you will own the home, you will be the one responsible for replacing it. Air flowing through the house is a beautiful feature. Every room should have working vents if they are present. Feel for the air, and consider where the vents are located. If putting your hand up to the vent deems the vent as faulty, make sure it is open. If the vents are open and you still feel no air, there may be splits in the system, or the fans/unit are not powerful enough for space. Poor arrangement of vents can be an issue as well. If the vent is on one side of the room, it needs to be able to reach the other with the air that comes out. If a vent is missing in a room you would like it in, that can be a whole other project on its own. Fresh paint jobs and beautiful smells are amazing things. It can make the house appealing to your senses. Though it may be good for a seller to exhibit these features, it can also be hiding some underlying problems. A house that smells like roses may be a house that is covering up another smell. It is good to be aware of all the smells that come from each room in the house. Good smells can mask bad ones, and bad ones can indicate numerous problems. New paint jobs can also be a makeover for some ugly walls. Like air fresheners mask smells, paint can mask aged walls and possible faults. Walls tend to be the first to reveal problems that came from previous owners, like cracks, holes and other imperfections. They also show signs that lay behind them. Water damage and mold frequently show up on walls before anything else. Big problems come from water damage and mold. Other than the serious need for restoration, health hazards may arise. A great first thing to look for is any signs of water coming into the home. Water entering can cause puddles/flooding, bloating or warping walls, and areas that look to be wet. 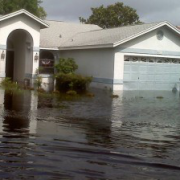 Water damage can be caused by many different things like roof leaks and faulty water piping. This damage can further lead to required repairs on parts of the house, destroyed personal belongings, and mold growth. Water left in the home can cause massive amounts of mold. Since it requires very little water to survive, mold can form with just some humidity. Mold tends to grow in little areas like showers and can easily be treated with some store-bought cleaners. But bigger jobs become a real issue and is best left to professionals. Mold affects people differently but is no laughing matter. Signs of mold are streaks or blotches that are grey, black, or green on walls and even floors. Another product of mold is a musky earthy smell. If the house is scented, it may be hard to smell, but it will probably filter its way into your nose at some point. Plumbing fixtures are very important. If the plumbing systems are not working properly, it can lead to broken pipes and bad water quality. When the water pressure is low, it can be caused by leaky pipes and lead to poor operation of washing machines – this can ultimately damage them. If plumbing systems are not corrected, then it can circle back around and lead to the water damage as described before. Some people don’t always think to check the small things unless they are nit-picking. There are tons of small things that can lead to problems further down the line. These are the types of things that can add up to a big buck. A good question to ask the realtor is what materials the house is made of. Any banned or hazardous materials will make the house dangerous and require some extraction. Materials like lead paint and asbestos insulation are proven to be toxic and must be removed. If they are aware of these then they should be able to tell you. Checking doors and windows are important. Making sure the hinges swing well, the windows open smoothly, and the frames are properly set and insulated is great to avoid headaches. If everything is up to par, then these little repairs will not be needed and you can keep some money in your pockets. Doorknobs and faucets need to be in pristine condition as well. Get to checking to make sure the hot and cold work on all sinks and showers. Also make sure the doors of all the rooms can open, and lock well. Privacy is critical in a safe home. Electrical switches also should work. Make sure the lights and outlets have power. Light switches that do nothing can be a problem, just as a bad outlet. If all of these do work, make sure that they don’t trip the breakers or short anything else out. Be wary of any smells that may come from testing the electrical aspect of the house. When looking for a home that best suits you, it is great to look at all of these details and weigh out your options. Hasty buying proves to be a big stressor in a homeowner’s life.If you’re in the market for a new home, do not be afraid to ask questions, be hands-on, and visit the home frequently. Sometimes the mistakes are covered up for a one-time visit and you deserve to know what you are buying. If you run into problems that need taking care of, Restoration USA is glad to help with any mold remediation, leak detection, or water damage restoration. Our 24-hour service is next to none and we have over 25 years of experience. If you do purchase a home and problem occur we are here to help. Check out our website for inquiries or call us at (866)-745-6428.